Growing up I would draw my favorite cartoon characters all the time. I’d re-draw stuff from newspapers, cereal boxes, comic books … I would even record cartoons from television to pause on a certain frame to draw. 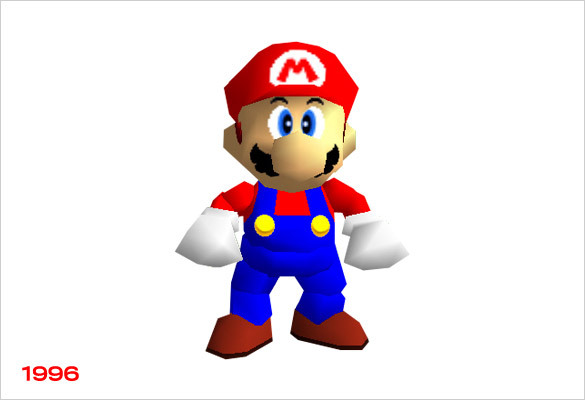 Most of these characters were part of an established franchise, but one little guy stood out as we all watched him evolve from a blocky little hero to fully rendered 3D. 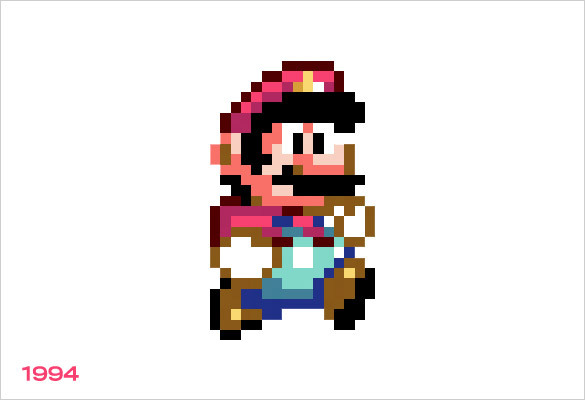 Everyone’s favorite plumber: Mario. 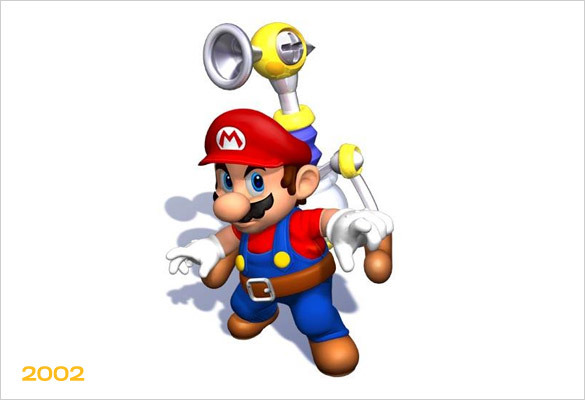 I always cite Mario as one of my favorite character designs. 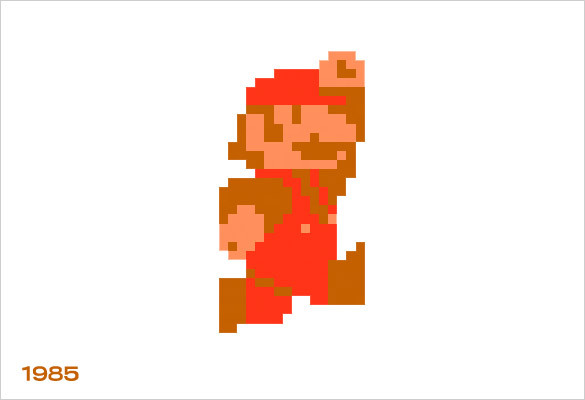 Nintendo took great care in tuning his image from way back in 1981 when he first appeared in Donkey Kong, keeping all of his iconic elements intact. Cap, coveralls and mustache. All basic shapes. 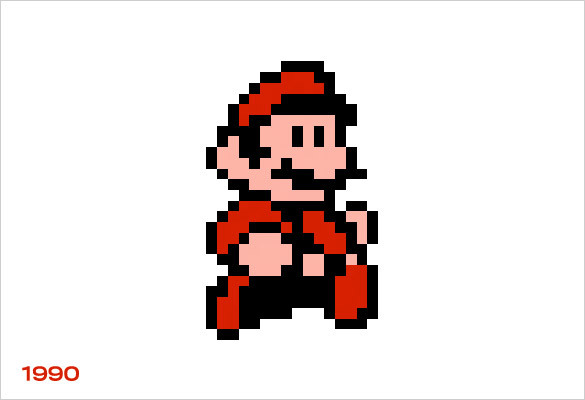 I’m sure marketing types came along who wanted to “re-design Mario to capture a new hipper audience”, but Nintendo stayed true to their little hero despite the advancements in technology and gameplay. I sure respect that. So I put this post together as a point blank documentation of his design evolution. There are zillions of Mario games out there but I wanted to only show the main titles that advanced his design, so don’t get on me for omitting Paper Mario or the RPG, you nerds. 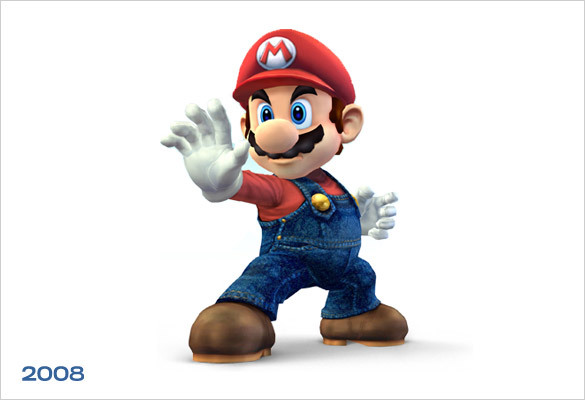 In 2008, Mario learns how to throw a hadouken! 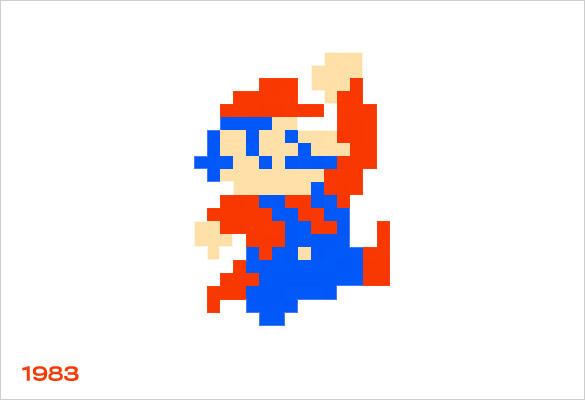 Mario, and indeed video games, achieved perfection in 1994 with Super Mario World on the SNES. Still a game I go back to now. Everything that has come since is just gravy! From 2002 those are not images from the game! David, I know but they closely enough resemble what appeared onscreen. Figured cropping a screenshot would be splitting hairs at that point. Awesome post.. 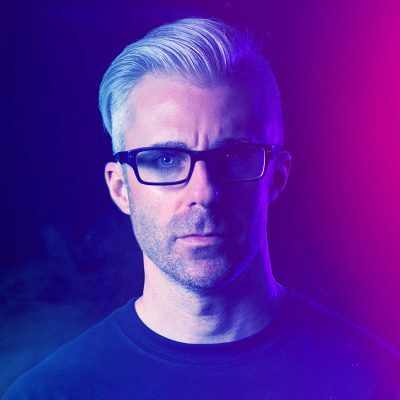 I agree with Mike, ’85 still the one. ’08 Mario clearly an Iron Man fan. It’s be interesting to see a side-by-side with Sonic as far as character design. Sega definitely meddled with the characters a lot more than Nintendo ever did. What I will say is that if Sega beat Nintendo at anything in that era, it was music. Morons (your words, not mine), read the above comments. At that point the box renders were so close to the in-game character design it seemed silly to spend the time cropping screen captures. 1985 or 1990… hard to choose! Both games were pivotal in my childhood. Side note… my wife and I started playing Super Mario Brothers on SNES (in Mario All-Stars) and had to break out the NES system to play it instead… the updated graphics, applied to the 1985 Mario Brothers just just wasn’t right! 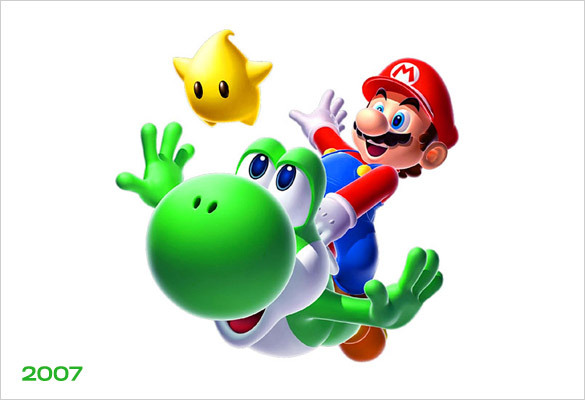 I still have my original Super Nintendo at home and when I can find the time I crack out Super Mario World and Mario All-Stars. Hours and hours of fantastic game-play that both my wife and I still enjoy. 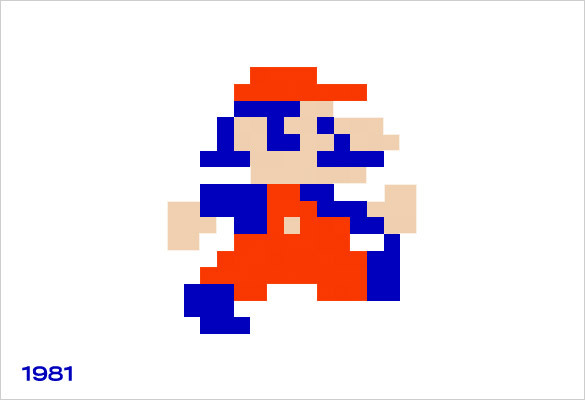 ’85 will always be Mario to me. 2008 is Super Smash Bros. Mario. The “Evolution” of Mario lacks a lot; The updated graphics in Super Mario All Stars, the 25th Anniversary SMB All Stars, New SMB, New SMB2 – all of which show a progression in Mario’s true design. Can you label each year with the game it came from?